We feel proud of having our GP Speech Challenge in the auditorium with the fifth grades students. Everything started with a writing project about child labor, educational opportunities and poverty. First, the girls made an investigation about one of those topics. Then, they made a big effort making the writing. Finally, girls made a speech in the auditorium where they had to present their essay orally. Fifth grade teachers and judges were very pleased with our students’ outstanding performance. 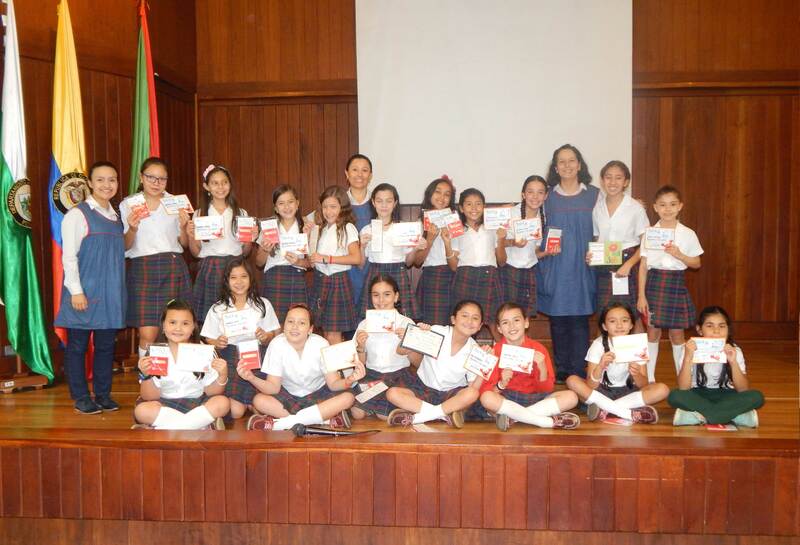 The participants were: Luciana Crispino, Carolina Pérez, Gabriela Cruz, Gabriela Olaya, Mariapaz Riaño, Verónica Mendoza, Sofia Velásquez, Camila Uribe, Valentina Pérez Castro, Luciana Duque, Isabella Ochoa, Paulina Arenas, Valentina Sierra, Salome Quiñonez, Isabella Zuluaga, Valentina Perez Zuleta, Sofia Lemus and María José Locarno. Our finalists were: First Place, Sofia Velásquez. Second Place, Camila Uribe. Third Place, Lucina Crispino. Fourth Place, Paulina Arenas. A Big Applause for Them and we encourage the rest of our students to continue working hard and give always the best!